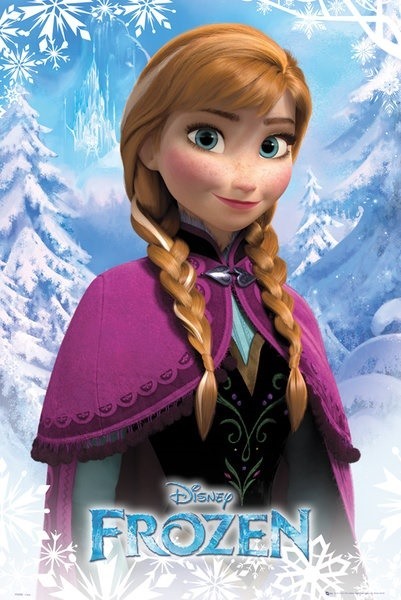 Despite being the main character, Princess Anna from Walt Disney's animated film Frozen does not have the most visually recognizable outfit. That means that the streets will be crowded this Halloween with kids and adults dressed up as the more visually unique characters, like Elsa (the Snow Queen) with her ice gown and Olaf, the living snowman. This is all the more reason to opt for a Princess Anna of Arendelle costume for Halloween. Unfortunately, store-bought costumes can be pretty pricey, with a children's costume going for $30+ and adult ones reaching all the way up to $200 for the dress and shawl. If you want to spend less, then you've gotta go the DIY route. When it comes to making costumes for the kids or even yourself, time and money are two of the most important factors. The less money and the less time you have to spend, the happier you will be. Most of the worn items for this outfit can be purchased from you favorite thrift clothing store for super cheap Even places like Forever 21 will have cheap stuff (like the under $2 tank top used). The only things we really need to focus on are the shawl and design for the top. 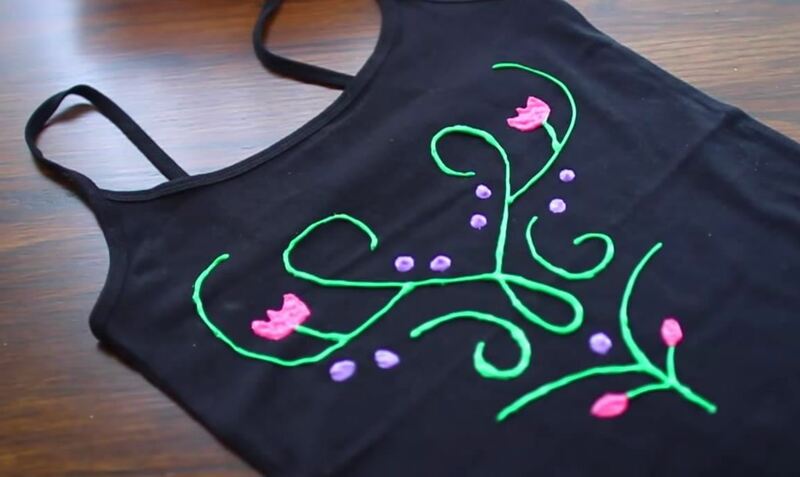 Sierra used her fabric paint to draw out the top design while looking at an image of Anna on Google. For the shawl, Sierra made small slits in the fabric (which can be bought for cheap at your local fabric shop) and then laced the excess fabric through the holes to create the draped look. 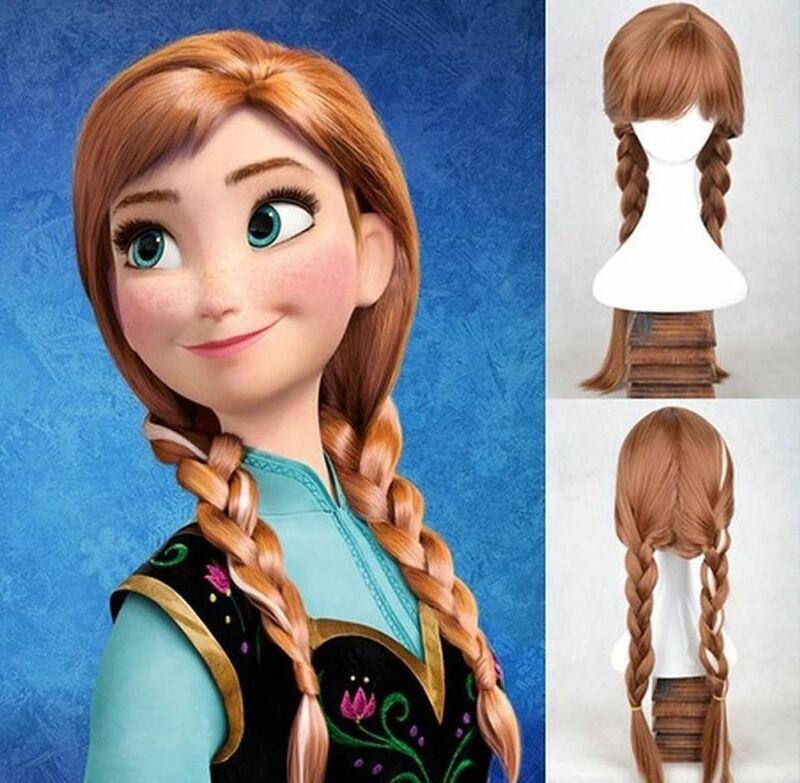 For a complete walkthrough of the process, check out Sierra's full video guide below, which also has how-tos for Princess Anna's hair and makeup. Anna's costume doesn't require any elaborate hair and makeup work, as you can see below, but it would be easier if you had long hair already for the pigtails. If not, check out the next section for a cheap wig you can snag. If the whole DIY thing isn't your style, there are some pretty good online options. Some are pricey, some are on the low-cost side. First up, the wig. 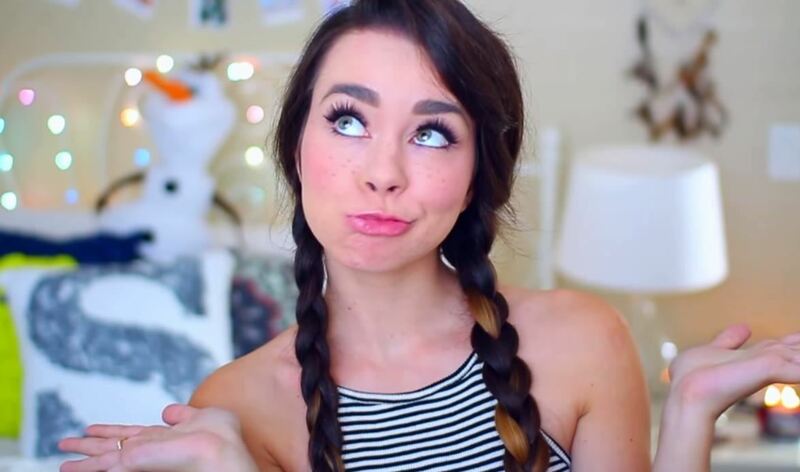 The pigtailed brown Anna wig seen below will run you about $21 on Amazon, though you might be able to find a cheaper one at a costume shop. 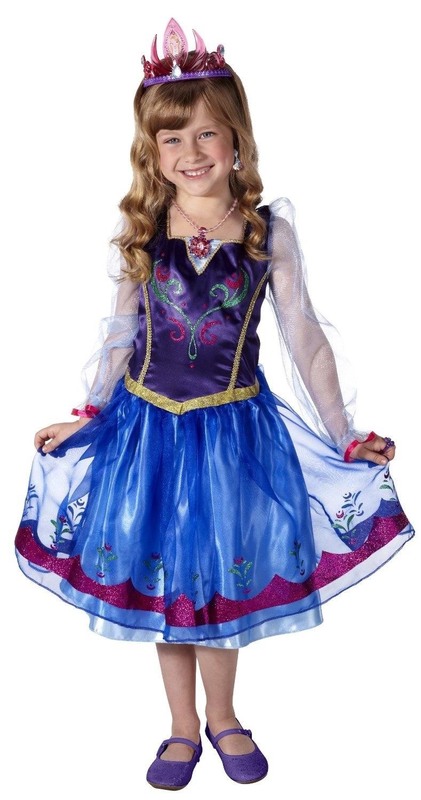 As for children's costumes, one of the cheaper ones runs for less than $20 for the dress only, or around $30 for the dress and shawl combined (the official Disney one costs about $70). 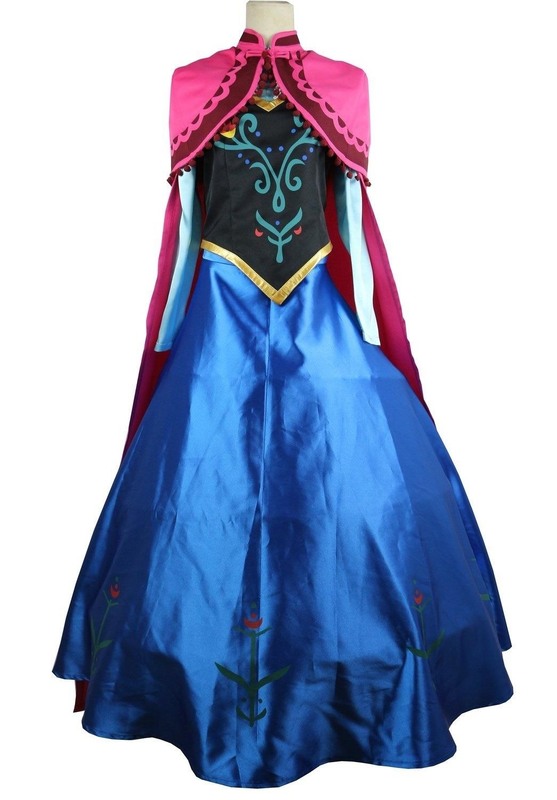 The adult Princess Anna costume is currently $171 on Amazon right now, which is the cheapest one as of this writing, so the DIY route might be better money-wise. Want to make it a group ensemble Halloween this year? 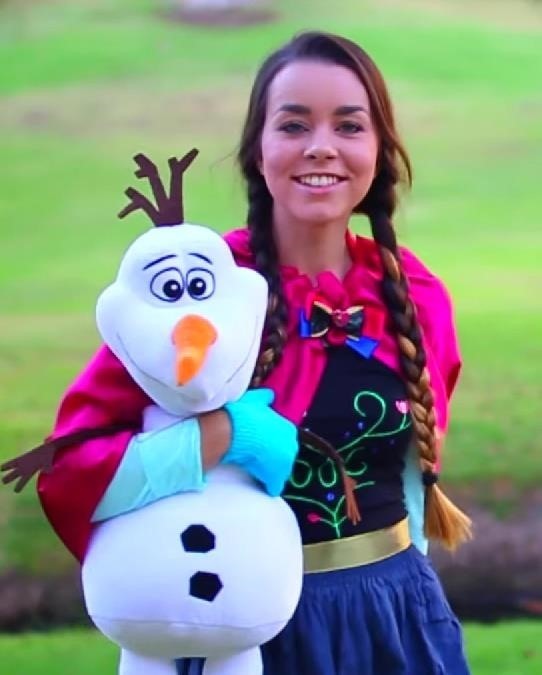 Get your friends to dress up as Queen Elsa and Olaf the Snowman!